This term Early Years have been investigating magic. We have read ‘Room on the Broom’ by Julia Donaldson and become witches and wizards ourselves by making potions, casting spells and making wands. 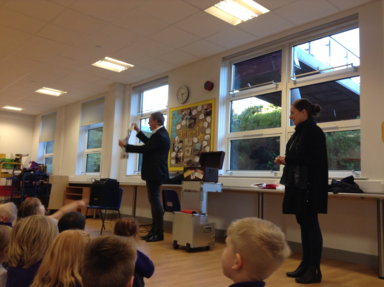 We wanted to find out more about magic and even see real magic. 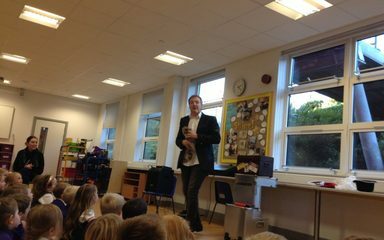 We were lucky enough to have a real magician do a show just for us. His name was Graeme Shaw and he was fantastic. We all laughed lots and were left wondering how he made our tummies squeak? How Miss Innes’ ring ended up attached to his keys in his zipped wallet? How lights appeared from our ears? And how Rocky the raccoon could guess which card Miss Corr had secretly picked? What a wonderful time we all had, our tummies hurt from laughing so much. 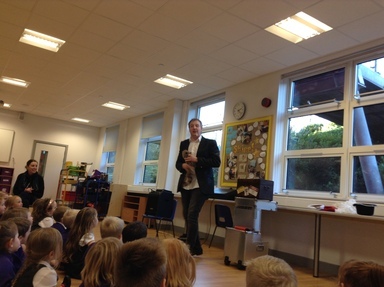 If you click on the below link you can see one of the magician’s tricks!